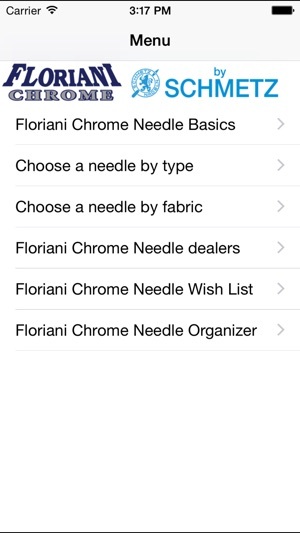 This app serves as a comprehensive reference for using Floriani Chrome needles by SCHMETZ. 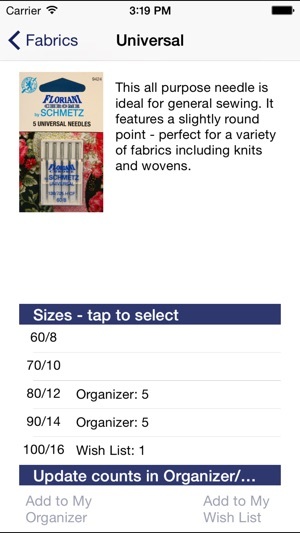 In addition to fabric recommendations and a dealer locator, the app also allows you to maintain an Organizer to keep track of the needles you have and a Wish List for those you want. 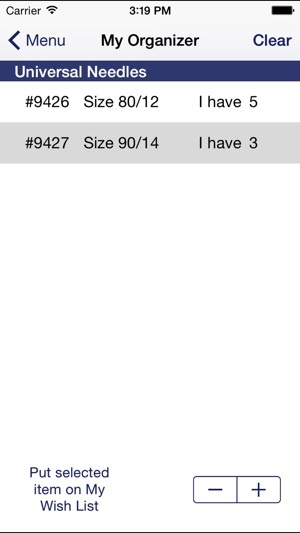 I didn't have any functionality problems. 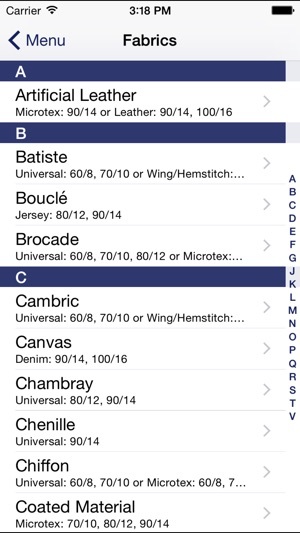 The app does contain very good information. It doesn't contain every needle size. It's missing spring needles, high speed quilting needles, and triple needles. Mr. Walter Floriani is one of the greatest teachers of Embrodiery. I am lucky to have been in his classes and own his program. 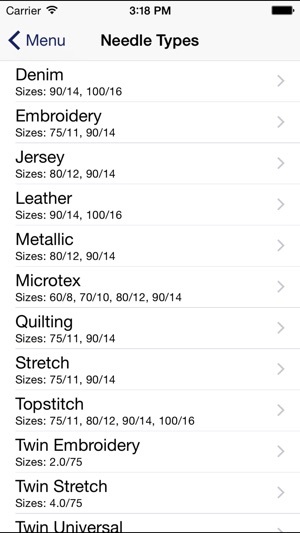 I thought this would be great, but once you select a needle type to review you can't navigate anywhere else within the app, even if you close it and reopen. Please fix this problem; great potential.